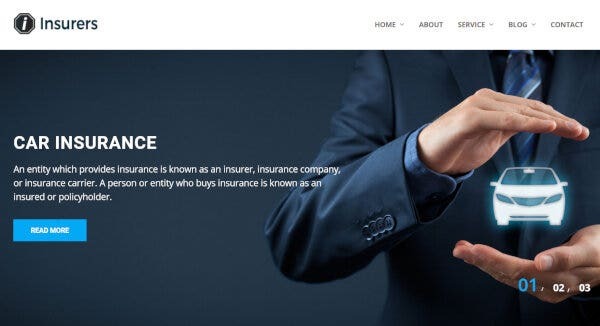 The need of building a structured and flexible website for your Insurance Agency is evident, particularly with the major boom in Fintech industry. 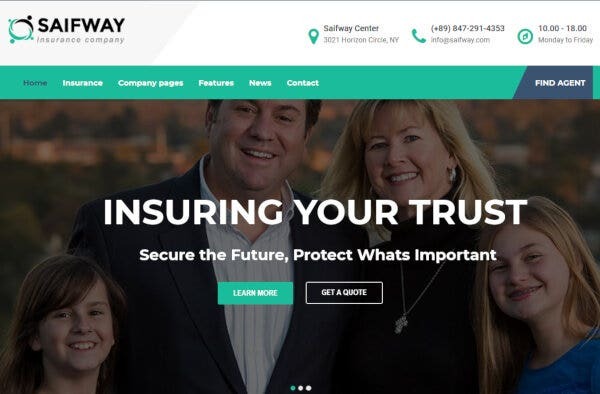 Insurance agency WordPress themes must convey a sense of unflinching professionalism, trust, and effectiveness. 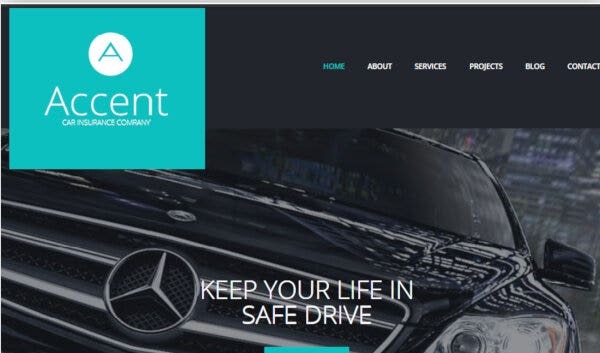 We have listed down the best WordPress themes which are flexible and responsive to help you build the perfect insurance agency website. 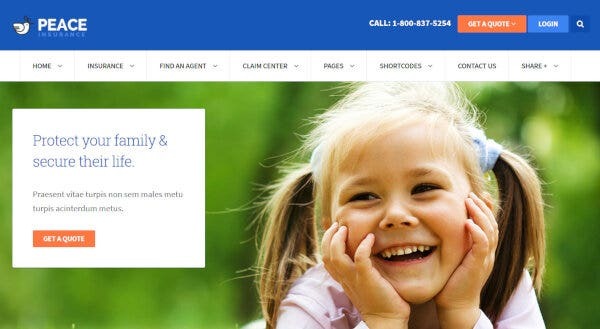 No more browsing for hours to search for a WP theme for insurance agencies. Saifway provides multiple Demo options predesigned to suit your requirements. You have the power to customize the entire website appearance with multiple layouts, Header styles, FontAwesome icons, multipage design and multiple shortcodes. 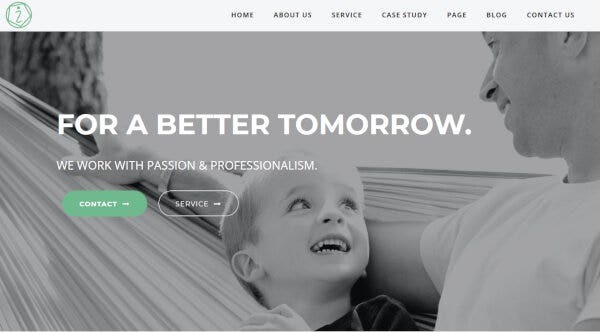 It is a Bootstrap Insurance WordPress Theme built for responsiveness and HD appearance. The Admin Panel in Consultico helps you manage the website functioning and the process of installation is very easy. This responsive WordPress theme comes with Events Calendar and a Landing Page builder that helps you customize the webpage appearance. Take your insurance agency or banking website to the next level with Consultico’s color switcher, Revolution Slider, Testimonials and SEO friendliness. Peace is the perfect website for an insurance or financial agency as it features important characteristics like Find an Agent, Insurance Product and Get a Quote. 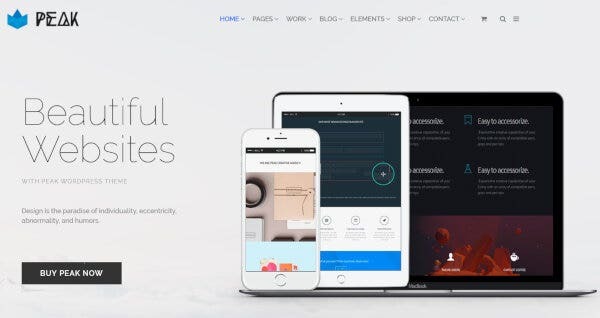 The professional layout of this theme can be customized with Visual Composer and you can build your website with this flexible WordPress theme. With Roox you get a premium WordPress Theme that is built on Cherry framework, supporting multilingual content. This retina ready and responsive theme features Simple data installer, Gallery, Visual Editor, Appointment booking and easy installation. It is Ecwid Ready and comes with GPL license. You can sort related posts and adjust the sidebars. Insurers provide with the variation of 3 homepages and a choice of News and Blog layout to suit your purpose. 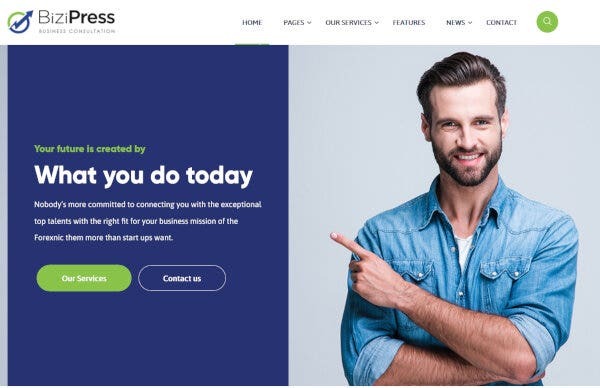 The Customer Testimonial, Team and Video Popups are the prime characteristics of this premium Insurance WordPress theme. 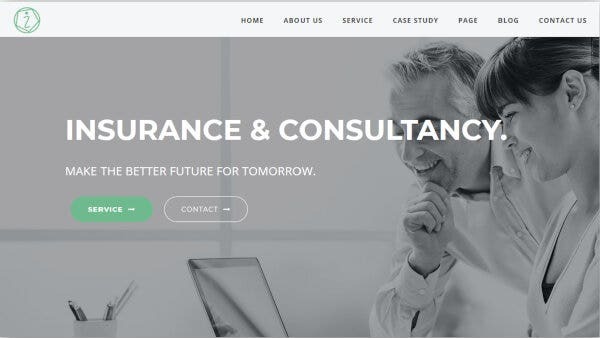 Insurance Company is 100% responsive WordPress Theme for insurance consultancies and it comes with the option of customizing the post formats. It is officially WPML certified for multilanguage support and with more than 80 shortcodes you can change the website appearance. This theme is SEO friendly to help you build a website that can be easily located by the online crawlers. 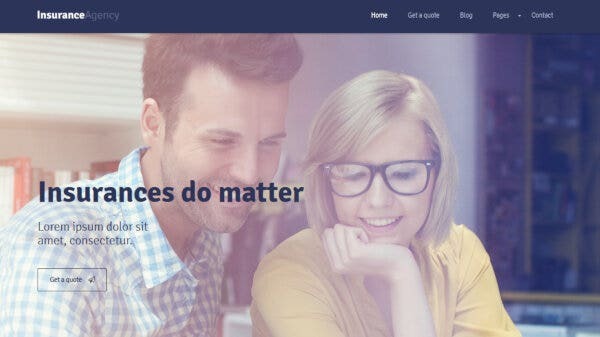 This Insurance and Finance WordPress Theme is built with WordPress 5.0 and Gutenberg Compatibility. Your website will be properly structured into blocks for News, Partners, Services, Testimonials and Insurance Quote to help your customers. 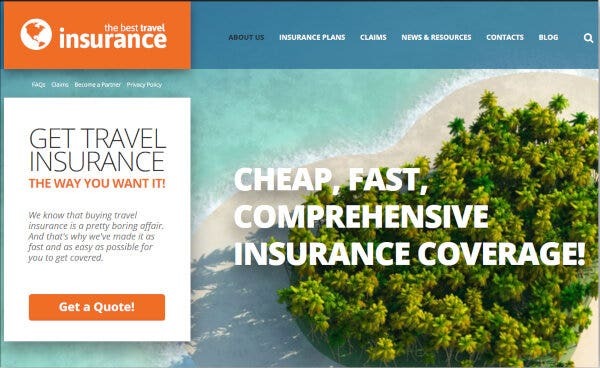 The advanced theme option provided by Travel Insurance Provider gives you the opportunity to customize your website appearance. All the latest functionalities like Back to top button, Dropdown menu, Calendar, Google Web Fonts, Google Map and Tooltips are provided along with this cross-browser compatible, and modern design WP theme. Iasion gives you the option to choose from two different homepage appearance that can be further customized with unlimited theme colors and theme options. The visual composer helps you build a powerful Insurance website without codes and Google web fonts helps customize typography. 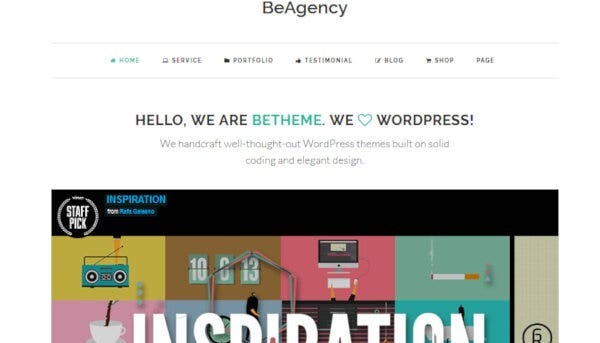 The BeAgency WordPress Theme comes with a Front Page Module Builder that customizes the appearance of modules as per your need. The ultimate AJAX portfolio features multiple characteristics like Audio and Video Compatibility, Galleries, Call to Action and Filtering. The masonry layout beautifies the appearance of your blog while you build your website with Drag and Drop Page builder. The responsive and Retina ready Spark comes with video tutorials that help you build your perfect website. With more than 650 Google fonts and unlimited colors, you have the power to customize the website appearance. The shortcode generator is easy to use so that you get to add the elements of your choice. 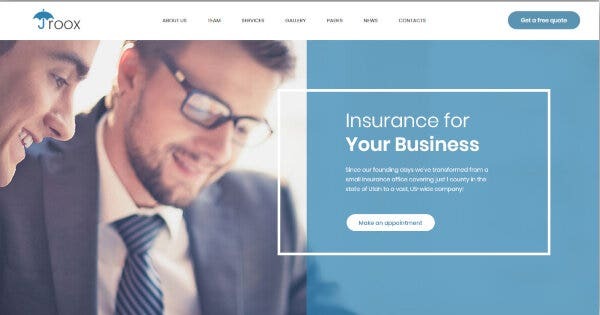 Insurance is perfect WordPress theme for your Agency as its characteristics are Service Timeline, Unique sections and references. The responsive layout makes it cross-browser and cross-device compatible and the drag and drop page builder customizes your website without code. There is a dedicated section to highlight the achievements of your agency with Timeline feature. 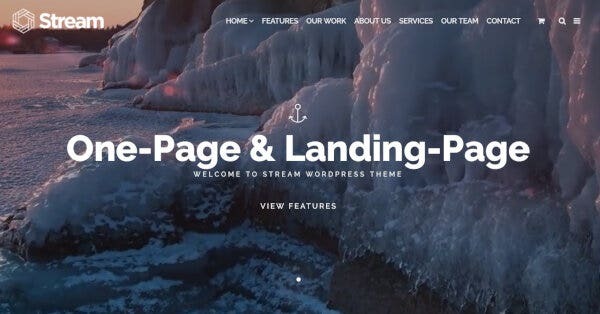 Rare provides Visual Composer for building your website without codes, just with the help of free addons added for advanced use. The website you build will be mobile responsive, featuring Blog options like post views, likes and related posts. More than a hundred page builder elements like Accordion, buttons, toggle and testimonial are provided with the theme. 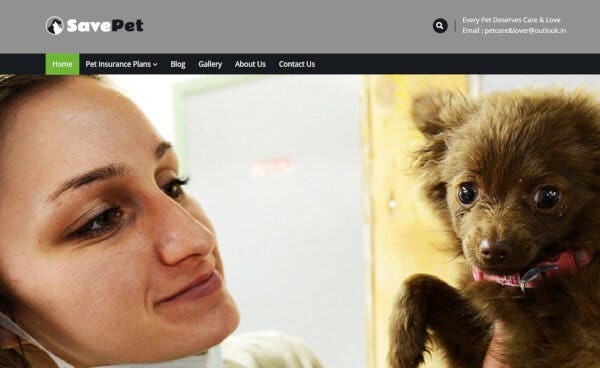 The integrated Appointment Form in SavePet theme saves your customer’s time by allowing them to take online appointment. 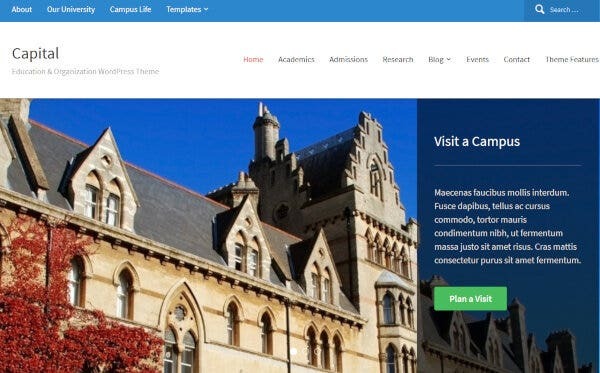 The prime features of this responsive theme are unique Header, Tap to call button and the option for Mobile menu. With 6 pre-designed layouts, you can build your website just as you want. Unlimited colors and layouts are provided by Stream to customize the appearance of your Insurance Agency website with the Drag and Drop Page builder. 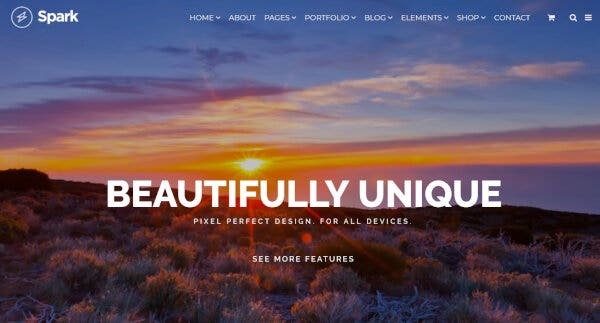 This theme comes with boxed and wide layouts contributing to a responsive and retina ready display. WPML Integration is provided to make your website translation ready. 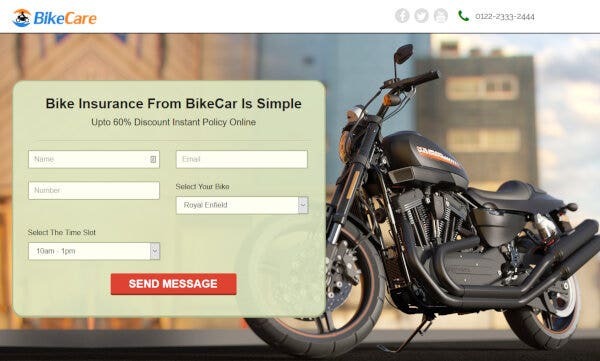 BikeCare features a lead generation form that helps you build a strong customer base. To highlight your Services, a dedicated section is provided next to the widget area and you can add Blogs just as required. For web designers, Custom CSS helps you to make changes in theme and if you have no coding knowledge, the Front page customizer is at your disposal. Peak uses Visual Composer Page Builder to build a retina ready and responsive website for your Insurance Agency. You get free addons for adding advanced elements into your website along with the Visual Elements plugin. This theme features Icons, Twitter Slider, Contact Form, Google Maps and Pie chart. 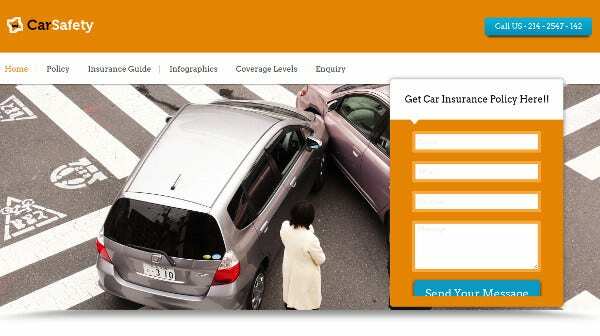 CarSafety WordPress Theme comes with a variable slider to highlight the important plans. The menu on the top can be customized to include other details like Services and Inquiry. Social media Integration helps you spread the word you convey through the Blogs posted on the website. This theme contains various widgets that you can use to add functionality. Perfect for an Insurance Agency website, Capital features Event Calendar integration and a responsive design. The retina ready display can be customized with the Theme Options Panel and as a visual treat, you get to alter the webpage appearance with Visual Customizer. The latest schemes can be highlighted with the Full-width slideshow. 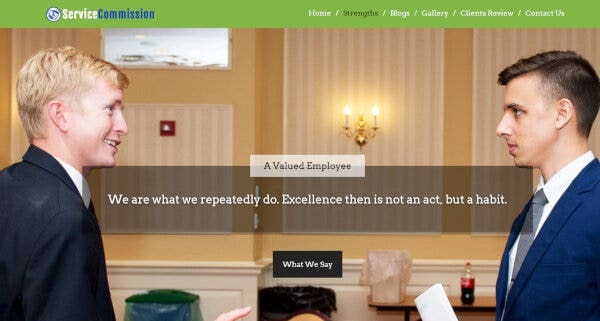 The key point of ServiceCommision WordPress Theme is the 3-Column Feature area that shows your key points. The latest posts are categorized at the center of the webpage for better accessibility and the slider image on the top is apt for publishing the latest schemes. 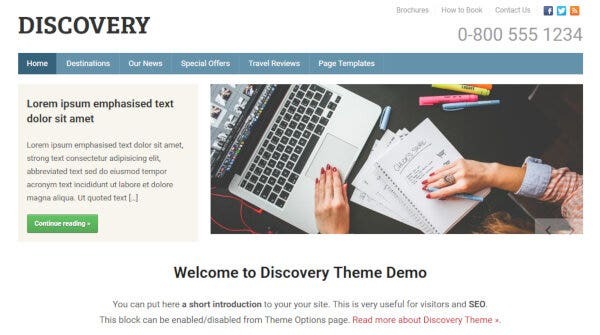 The multipurpose Discovery has left no stone unturned to provide you a visually appealing website with its Post Slider. The WPZOOM framework helps you customize the webpage without any code, and you get to feature 4 of your highlighted pages with Feature Static Page section. We hope that your needs are addressed, and you’ve found the right theme for your website. Happy website building!